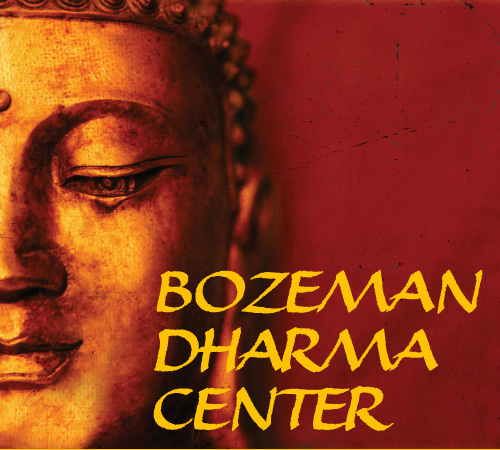 Bozeman Insight Community (BIC) is a welcoming community that offers the Buddha’s priceless teachings on wisdom and compassion to all those who seek them. Centered on a commitment to personal practice we support the development and expression of our inherent wisdom and compassion for the benefit of all beings. The program usually begins with a 40-minute silent sitting, followed by tea, instruction from the leader and discussion. All are warmly welcome to drop in and join us – no prior experience necessary. please click this link to go to the BIC’s website. BIC events and programs in the Insight (Vipassana) lineage are shown in blue on the Dharma Center’s listings. This calendar program automatically offers links to other events at the bottom of this page. These events may be wildly out of date. Please check the date and year of any event you access via these arrows. Thank you!